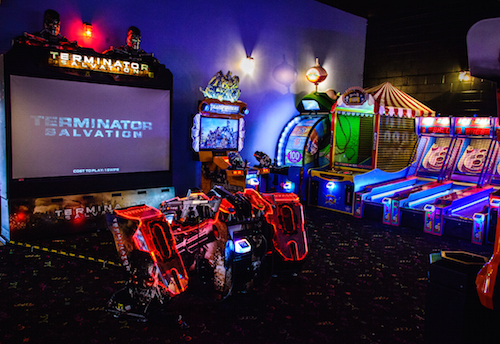 With tons of games, there is something for all ages to have fun! 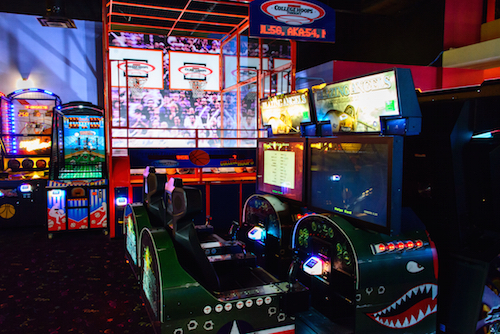 Come race against your family or friends on Out Run 2SP or Need for Speed or shoot some hoops. 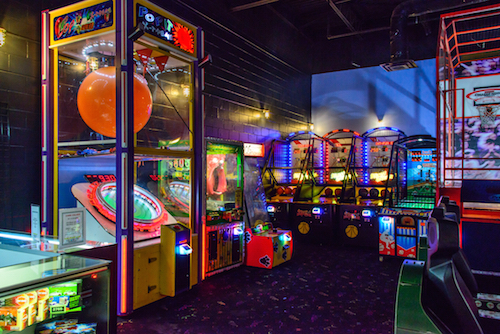 There are even games for the little ones to play, including Whac-a-Mole, Dog Pounder, Beebee Bopping, & Frog Song. 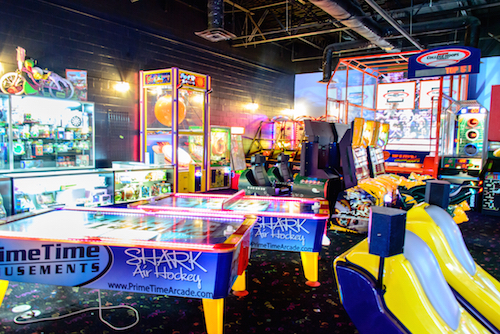 Try out our new games Super Trivia or 4 person air hockey. Pretend that you are on a roller coaster while riding Mad Wave or dance to music on Pump Pro 2. Other games include Deal or No Deal, Guitar Hero and Technika. We are always receiving new games, so be sure to come back and play! With an arcade card you don’t have to worry about carrying around tokens or tickets. Simply purchase an arcade card at one of the kiosks (takes cash or credit card) and start swiping away. Any tickets won will go directly to your card. When you are done, be sure to stop by the ticket redemption counter to trade in your tickets for prizes or keep your card to keep racking up those tickets to win bigger prizes! The arcade card is reusable, so you can refuel your card at any time or day. 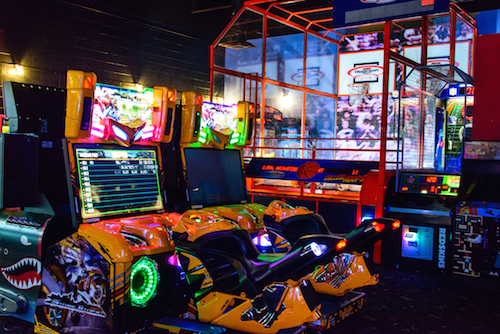 With games ranging from only 3 credits to 12 credits, it is the perfect, family friendly arcade to have a fun night out.